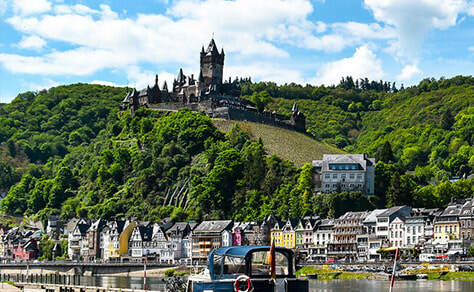 Expand your imagination in fairytale villages—enchanting Cochem where folklore and history come alive in every street, and in well-preserved Bernkastel with its medieval Market Square and half-timbered houses. Whimsical fantasies abound at Siegfried’s Mechanical Musical Instrument Museum and at the Palace Gardens of Schwetzingen, a cultural heritage site of European significance with more than 100 sculptures scattered throughout its surprising landscape. Blend German heritage with Italian in Trier, with its Roman Imperial Baths and the Porta Nigra; and with French heritage in Strasbourg, and you have the most splendid journey. Book your cruise on any of our popular itineraries in Europe or Asia and take advantage of incredible interline rates. Reserve your stateroom today! 7 Day Hawaii Cruise sails from Honolulu every Saturday. Cuba is one of the safest places on earth and the people are some of the friendliest you are likely to meet. The Cuban people are warm and most of the population has never left the island. Cuba is changing and now is the time to see this remarkable destination. Get a jump on WAVE Season, book your 2019 cruise today! All pricing shown is per person based on double occupancy and are subject to availability. Ask about pre and post hotel accommodations, rail tickets and optional tours. Carnival Cruises, port charges and gov't taxes are additional.